Consulting is one of the professions that can help you to survive in a tough economy. This is because many companies are constantly seeking for consultants to assist them with their temporary projects, while still cutting down costs that a full-time employee would cause. There are some businesses that have an urgent need for consultants right now – therefore, you should not wait any longer if you have been considering breaking into the consulting industry. Consulting is the practice of offering third party, also known as a client with expertise on a particular matter in exchange for a certain amount of fee. Consulting services usually involve either implementation or advisory services. Every consultant is required to take an unbiased and independent stand on any issue that they are handling. The consulting industry is amongst one of the wide markets in the professional industry services. Strategy consultants – these are consultants who are at the highest level in the consulting industry. Mostly, they concentrate on strategic topics like organizational and corporate strategy, functional strategy, economic policy and government policy. Strategy consultants do the work assigned by senior managers and directors. Management consultant – they are also known as organizational or business advisors and they focus on different types of organizational strategies and elements in the management of the organization. Management consultants are used for various services that fall under HR consulting, operations consulting and strategy consulting. Operations consultant – these are consultants who will help you to improve the performance of your operations. Their consultancy services vary from hands-on implementation support to advisory services, for both primary and secondary functions. Financial advisory consultant – these consultants address the questions related to financial capabilities and in some scenarios, they also address the analytics capabilities of an organization. Consultants who fall into this segment include real estate consultants, M&A and corporate finance consultants, tax and risk management consultants as well as forensic research consultants. Human Resource Consultant – also known as HR consultants, they assist their clients with questions related to human capital in their organizations. They also assist their clients to streamline the performance of the Human Resource department. The main topics addressed by the HR consultants include organizational change, learning and development, terms of employment, change management and talent management. IT consultant – these consultants concentrate on assisting their clients in the development and application of IT in their organizations. The consultants focus on projects in the IT landscape, as opposed to normal IT-employees who focus on the daily IT operations. When you become a consultant, regardless of whether you start working as a consulting employee or start a consulting business, you will get various job opportunities that assist you to expand your experience, knowledge as well as professional network. However, many job seekers overlook consulting jobs despite all the benefits associated with consulting jobs. Professionalism – as a consultant, you should always keep the relationship with your client at a professional level. At times, you can be tempted to develop the ‘employee attitude,’ and this is not good for anyone working as a consultant as it can make you achieve negative results in your project. Therefore, you should ensure that your level of knowledge as a consultant is broad enough to determine when to research in order to find the required solutions or ask questions. You should always remain updated by reading magazines, journals, and websites, as well as networking with other people in the consulting industry. Lastly, you should be good in applying theory to practice and possess the skills to use the necessary tools to do your job efficiently. Judgment –as a consultant, you should always have good judgment whenever you face issues. You should never jump to conclusions very quickly. It is always good to take your time to weigh all the facts and ask for an opinion from other people before making your decision. Time management –good consultants are always able to accommodate the budget, schedule as well the general requirement of the project they are handling. This should happen particularly when you have pressure to maintain quality while you still have budget and time constraints. Team player –you should always demonstrate that you are a team player and that you are ready and willing to learn from other members. In addition, you should always ensure that you value the expertise and input from other people. When you become a consultant, it is always a good thing to develop and maintain good relationships with other consultants. Good listening skills –when you become a consultant, you should be prepared to meet different people who have unique characters. Some people will be uncommunicative while others will be talkative. You should display great listening skills as they can encourage all these people to communicate freely. This can lead to more sharing of information and even making the consulting process better in the end. Excellent communication skills – it is necessary for every consultant to possess excellent written and communication skills. Many people view consultants as the experts on the subject matter. Therefore, you should always ensure that that you communicate your opinions effectively. Additionally, you should always endeavor to know the languages that are mostly used by your clients as this could help you to communicate effectively. The idea is that you should be able to read and understand the language of your client without the assistance of any translator. Consultants are known for their long working hours, lots of traveling as well as their ever-changing projects. However, consulting is a good way in which you can earn new skills and grow professionally. Whether you are new, interested in the consulting industry or an experienced consultant searching for a full-time opportunity in the consulting industry, it can be an uphill task to land an internship or a job in the sector. Consulting roles, which are in high demand from many companies and individuals are very prestigious as they come with very attractive salaries and benefits. Therefore, if you want to break into the consulting industry, you need to be aware where to find the consulting jobs and learn about the consulting companies that recruit new entrants in the consulting industry. So, you need to follow these steps if you want to break into the consulting industry. All successful people in the consulting industry agree that it is vital for all new entrants in the industry to equip themselves with the relevant consulting skills and knowledge. One of the best ways to gain the necessary knowledge and equip yourself with these skills is by acquiring an MBA or CFA part 1. You should understand that CFA part 1 or MBA would be an added advantage to you, regardless whether you have the necessary experience or not. However, you should understand that doing CFA part 1 or MBA is not a prerequisite for finding a consulting job. But, of these courses can make you be a potential candidate, particularly if you possess the specific industry qualifications and experience which consulting firms ask for. The main reason behind this is that you get to possess some of the necessary skills, like communication, management, leadership, problem-solving and working under pressure or stress amongst others. Yes, you might possess all the necessary qualifications, but you can fail to be noticed particularly if you do not present all your qualifications effectively. To do this, you must prepare very strong and impressive resume and cover letter. For your resume to stand out, it must start with your relevant experience on the first page as well as your experience and quantifiable achievements. If you want your potential employer to notice you, then you must express all your accomplishments related to the consulting industry. You should ensure that you outline all your important skills in the resume, as they will set you apart from all other applicants. Furthermore, you should understand that a well-written cover letter can play a major role in landing you that consulting job compared to the resume. A cover letter presents you with the only opportunity to sell yourself to the employer. Therefore, put in mind that a carefully written cover letter is very important than any other document you present to your employer, including the resume. As a new consultant entering the industry, it is important for you to get to know how the professional consulting and job-hunting process is. When looking for a consulting job opportunity, it is important to ensure that you explore all the available options, including online platforms. In addition, you will really need to prepare for the interview process, as this is where you will get an opportunity to convince your employer why he or she should hire you. Therefore, you will need to be prepared to answer some questions about your personalities as well as about your previous experience. Your interviewer might also ask you some questions to test your communication and problem-solving skills. In addition, you should be prepared to answer case questions during the interview, as your interviewer will be interested to know how you can handle certain situations. Finding a seasoned professional to be your mentor can prove to be a major benefit for someone who wants to break into consulting. A good mentor should be someone with tons of experience, insight, and knowledge in the consulting industry. He or she should be in the position to assist you in exploring your consulting career as even assist you in developing strategies on how you can find better-consulting job opportunities. Actually, it is of the utmost importance to know how much your mentor can assist and support you before you even venture into the consulting industry. Furthermore, it is good to understand that mentors can be very busy at sometimes. Therefore, it is important not to ask them to do things that you can do personally. The main purpose of a consulting club is to assist students to be connected to potential employers and learn more about the consulting industry. A consulting club can help you to have a better understanding of the new trends in the consulting industry, connect you to several consulting firms. Furthermore, a consulting club can help you to get ready for the recruitment process of a consulting job. This mostly happens through social events as well as workshops directed towards professional development. It is important to understand that you must network with people in the consulting industry if you want to break into to the sector. Mostly, networking comprises contacting people, like relatives, friends and even acquaintances you met at a workshop, consulting club or career fairs. Networking assists you to share important information and details about the consulting industry and learn more about prospective job leads, as well as develop relationships. Actually, networking in the consulting industry should become a part of your daily life. Your consulting network should always be ready whenever you need it, be it for job searching or even moving up the ladder in your consulting career. Because you do not know when you might require it, you should always ensure that you maintain an active consulting network, even when you do not need it at the moment. Landing an internship in a consulting firm is one of the best ways to join the consulting industry. You can be lucky and get a full-time consulting job after your internship period ends. If you have ever gone through a case study interview, then you know that it can be terrifying. The main objective of a case interview is to give you an opportunity to prove to your interviewer what you would do in case you were hired and given a task to do immediately. When it comes to consulting jobs, there are also case studies, where you are required to solve a particular issue. These questions at times tend to be tricky and you must know how to answer them. The following are some tips that can assist you to handle such questions. Many people do not like dealing with issues or problems that involve mental math. However, some of these issues keep on coming up repeatedly in our lives. When it comes to consulting jobs, you must be good at mental math, as you cannot grow in consulting so long as you cannot demonstrate your sharpness in math. So, if you are not good at mental math, particularly mental math consisting large numbers, it’s good to practice before looking for a consulting job. You should practice thoroughly even when you feel it is as if you are numerically challenged. Mental math is based on two aspects, speed and accuracy and the more you practice, the better and polished you become. Identifying the objective of the question can really help to ace the case interview. There is a possibility that you will not be asked open-ended and broad questions during a case interview. At times, you might be tempted to answer the question, before even thinking about it and hope for the best. However, it is important to understand that time is a critical issue when it comes to case interviews and you should always take your time before you answer any question. So, when answering the case, which requires you to ensure that you understand the background and the context of the case, don’t ask whether there any objectives. But, you should try to offer a suggestion or choice about the question you think your interviewer is asking. If you are asked an open-ended or broad question, then you get the opportunity to demonstrate your analytical competence that not every candidate will have. Always ensure that you differentiate between company-specific and industry-wide problems when trying to answer or deal with specific issues. Whenever you find yourself in such scenarios, you should purpose to eliminate industry-wide problems first. If they are not there, you can then dig deeper into the company-specific problems. When you discover a problem, then you can explore the position of the company at first, before you identify any recommendations. Segmentation is very critical, particularly when you want to get into the cause of the problem. It is good to understand that you cannot use the assumption to try to solve a problem, particularly one regarding products/services or customers. You can never assume that the only problem you have is a general decrease in revenue across the products/services or the customer base. There is a low possibility that the product or customer segments can be affected in the same way. So, when it comes to segmentation, it is important to understand the main types of segmentation, which include customer demographic segmentation, product segmentation, channel segmentation, customer needs segmentation as well as geographical segmentation. Most interviewers tend to ask you give them your opinion at the end of the case or after every interview question. When you are asked such questions, its good understand that the interviewer wants to hear what you think, not what your notes say. So, you should know that you are not supposed to beat around the bush in such scenarios in order to buy time, but give the answer which is in your head. Also, you shouldn’t be shy, but you should give your answer confidently and in a composed manner which shows that you are a case interview genius. However, if you are afraid of answering the question in that manner, just know that consultants are also confident as well as risk-reverse. Just answer the question in a manner that you leave a room for suggestions, but be careful not to show sign of weakness. The fact is, the consulting sector if full of top performers from well-known schools. Many of these consultants have good grades as well as remarkable work experience. Because of this, you can be easily intimidated and start wondering how you can succeed in the consulting industry, which is very competitive in its nature. So, how can you become a great consultant? Here are six things that can make you a great consultant. Building trust is very essential, especially when you want to venture into consulting. Once you become a consultant, you should always ensure that you do what you said you would do. Although this sounds very simple, it is the number one thing needed if you want to build credibility and trust amongst your clients as well as your team. When it comes to consulting, strong attention to detail is a very essential skill as assist you to produce deliverables that are error free. This, in turn, shows that you are thorough in whatever you do and your recommendations are strong, thus assisting you to build trust with your clients. It is essential to ensure that your work is free from spelling and grammar mistakes as well as errors related to calculations as it also reflects in the entire team or company in the end. When you join the consulting industry at first, you will find yourself working in different clients, companies and even areas. 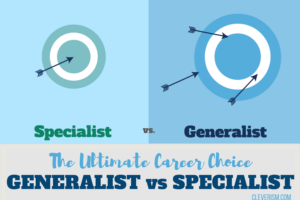 While you might possess the necessary experience to work in these different areas, you should focus on developing skills that should differentiate you from all your peers working in the consulting industry. As you already know, all consultants are people with enough ambition to last them a lifetime. However, what really differentiates good consultants from great consultants is the ability to think critically before the work as well as focusing on the tasks. When you become a consultant, you will be required to solve many problems, some of which might be new to the industry or even entirely new to you. However, it is good to understand that it is your resourcefulness that will make you succeed in case you are faced with challenging requirements or tough problems. Although it might not be so outbound, you should ensure that you develop the skills to solve problems quickly and creatively. Consulting is also based on asking questions as they assist you to understand the things you are required to do as well as the problems facing the client. In additions, questions can assist you to demonstrate how you understand the problem. Therefore, you should never fear to ask questions, as this is better compared to doing a mistake. In addition, when you do not have any question to ask, you can re-state what you have been told as it helps in clarifying your understanding. This, in turn, inspires confidence with your current client. If you are searching for a career that is interesting and it balanced on both rewards and challenges, then consider joining the consulting industry. Consulting will present you with the opportunities to utilize your analytical and communication skills and most interesting is that you will have a chance to work in any industry.